The week started off with a teaser from the Lenovo VP Chang Cheng who posted a corner of a notch-less Lenovo device. Now he is wrapping the week with more information about the phone – it will be called Lenovo Z5 and from what it looks like it might have a screen-to-body ratio as close to 100% as we have seen so far. Cheng wrote on Weibo that the Z5 would come with four new technologies that should effectively lead to removing the bezels from all sides, including space usually taken by the camera, the earpiece or the fingerprint scanner. All three of them can already be implemented in a smartphone though: the camera can come out like a periscope, similar to the vivo Apex Concept Phone, a piezoelectric ceramic driver for the earpiece is already part of the panel since the first iteration of Xiaomi Mi Mix, and under-display fingerprint scanners are a thing since the vivo X20 Plus UD. 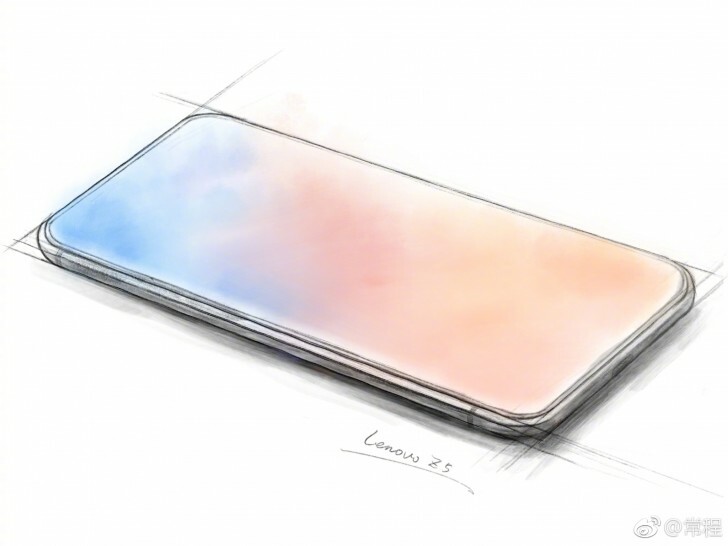 June 14 is the date of the official announcement for the Lenovo Z5 when Cheng is expected to reveal how Lenovo managed to break the 95% StB ratio barrier.